The ruby is a stone from the corundum family like all sapphires. The only distinction compared to the others is its red color. Therefore, the ruby is a red sapphire. Like all corundum, it is made of aluminum oxide. Its color is due to the chrome oxide that replaces the aluminum oxide. It can be transparent or translucent. It is formed in magmatic or metamorphic rocks. The ruby is insoluble in acids. It is also the strongest mineral after the diamond. The most popular color is the one called “pigeon blood” which is a frank red with a tiny touch of blue. Its name comes from the Latin “ruber” which means “red” and that was given in the 13th century. In the 19th century, it would wear a more common name which was given to several red stones, just like the carbuncle during the medieval period. It is often confused with the red spinel, the tourmaline (Siberia ruby), the pyrope garnet, the almandine garnet, the fluorite, or the pink orange topaz. The ruby is a solid stone and is very sought after, mainly in jewelry. After the diamond, it is one of the most expensive stone. Its value depends on its dimensions, color, purity and cut. The natural ruby always presents inclusions which will guarantee its authenticity. Only the synthetic ones can come close to perfection. Because this stone is confused a lot with other red stones, it is quite difficult to trace its history. 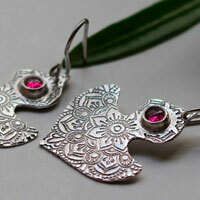 In India, the ruby is mainly appreciated and recognized. It is called “ratnaraj” in Sanskrit or “king of the precious stones”. People would think that its color showed it imprisoned an internal fire that could never be extinguished. 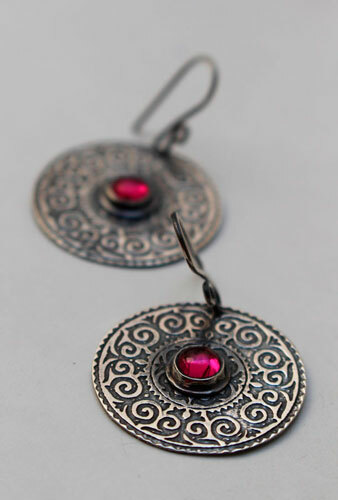 In Burma, the warriors would wear rubies which were meant to make them invincible during the fight. But in order to be efficient, the ruby had to be inserted below the skin. This is quite common in different cultures due to the color associated with blood, and symbol of courage. Hindus would also see the ruby as a protection stone. If it was offered to the god Krishna, it would ensure a high social rank in their next life, like being an emperor. The Mani Mala describes the sacred tree named Kalpa. It is an offering made to Hindu gods made of precious stones: sapphires, diamonds, topazes, emeralds… and rubies as fruits. Hindus would consider that the ruby would release such a heat that it could make boil the liquid in which it was submerged. As they would exchange rubies on the Silk Road from 200 BC, Chinese warriors would also decorate their swords with rubies as a protection. They were also buried in the foundations of buildings to ensure the prosperity of a family. It is said that the emperor Kublai Khan would have offered an entire town against one ruby. 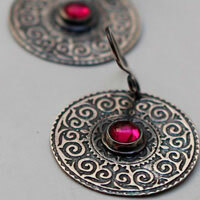 The ruby was introduced in Europe by the Greeks and the Etruscans around 500 BC. The Greek people would believe that a carved seal ruby was able to melt wax on its own. The Romans would include the ruby under the same name than other red and shiny stones: “carbunculorum” or “alight small charcoal”. However you can find very few carved seals made of ruby because it was expensive and hard to carve. Spinel was the best option to do so. During the medieval period in Europe, the ruby would remind of blood and fire. It was therefore associated with courage and to ardor. It appeared as a royal sign on crowns or helms. It was also meant to protect the knight from injuries and diseases. 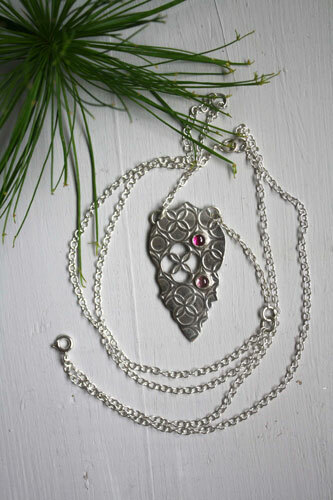 In the Middle-Ages, and still today, it is thought that if the ruby changes its color, this is a sign of bad news. Dragons and chimeras were meant to wear a ruby on their forehead to make some light and find their way during the night. For Christians, the ruby symbolizes the blood of the Christ. It would generally ornate the ring of cardinals and the council of the Vatican II. It would be the most precious of the 12 stones created by God and placed on Aaron’s plastron, around the neck. The ruby symbolizes the 35th anniversary of marriage. It is also the birthstone of July. The ruby has a special place in the Islam. It is more particularly linked to the creation of man in the Coran, when God would have sent a house of ruby to Adam. The rulers of Orient would wear a lot of rubies which would symbolize their power. Marco Polo described for example the ruby of the Ceylon king, Sendemain or of the king of Siam. Mines: Cambodia, the USA, Madagascar, Mozambique, Myanmar, Sri Lanka, Tanzania, Thailand, Vietnam. The synthetic stones are stones made by man with scientific methods. They reproduce the natural conditions in a laboratory in order to create or make a stone with the exact same characteristics than the natural stone, whether chemical, optical or physical. Therefore, this is not an imitation, but the synthetic property has to be mentioned. The French Edmond Frémy made the first synthetic ruby with the melted salts method in 1877. It is in 1902 that the French Auguste Verneuil, adoptive son of Edmond Frémy, made the first synthetic ruby by the fusion of aluminum oxide powder with a red colorant. It seems very easy to distinguish a natural ruby from a synthetic one, with a simple magnifying glass. The natural ruby always presents imperfections that give its charm and reflections. On the contrary, the synthetic ruby is almost perfect, showing sometimes tiny bubbles. The biggest discovered ruby is 3421 carats and was found in 1961. It was shipped immediately because of its size and did not receive a name. The biggest carved ruby is 750 carats. The Carmen Lucia ruby weighs 23,10 carats and is also a pigeon blood red color. It was bought in 2000 by an American doctor for his wife who had an incurable disease. Unfortunately, she never wore this ring made of platinum and diamonds. The Edwardes ruby was named in honor of Sir H.B. Edwardes. It weighs 167carats and shows an exceptional translucency. The Gnaga Boh ruby or “the dragon lord” is a raw ruby of 44 carats reduced to 20 carats. It was offered to the Burmese king Tharawadis. The Graff ruby is the purest pigeon blood red color ruby ever discovered. It is 8,62 carats and is bezel set on a ring with diamonds. It was sold in 2014 for 6,8 million Euros. The Hixon ruby is a raw ruby of 196 carats coming from Burma. It is considered as one of the most perfect ruby in the world. The Maund Lin ruby from Burma would weigh 400 carats. It was cut in 3. One bit remained raw and the two other parts weighed 70 and 45 carats. The Nixon ruby weighs 196,1 carats and is from Burma. The peace ruby was found in Burma in 1919 and owes its name to the signature of the treatise of Versailles. It is 43 carats and is round. The portrait seal of Alexander the Great is today gone. This ruby of 1 carats would be used as a seal by Auguste (63 BC – 14). It was then used by Roman emperors until the Vespasian before going back to the hands of French kings. The ring of Madame de Montespan is from the beginning of the 18th century. It was decorated with a carved ruby representing Madame de Montespan. The Saint Wenceslas crown is one part of the Boehme crown jewels made in 1347. It was ordered in 1346 by the Roman German emperor Charles IV to decorate the reliquary of the skull of the saint king Wenceslas who was the Czech ‘spatron saint . This crown is made up of 19 sapphires, 30 emeralds, 20 pearls, 44 spinels, and one ruby as the focal point. It is not carved and is about 250 carats. The Sunrise ruby is the more expensive in the world with its 25,60 carats and its pigeon blood red color. It was sold in 2015 for 30 million US dollars. It comes from Burma and wears the name of a poem which was written in the 18th century. It is bezel set on a ring with diamonds from the Cartier firm. the ruby should be avoided by anxious and hypertensive persons. it would be a good regulator of the blood system and more particularly the heart. the ruby would help to fight fatigue. it would have the ability to regulate menstruations. the ruby would relieve fever and infections. it would relieve bronchial tubes. the ruby would be efficient against intestinal troubles and diarrhea. The ruby would stimulate kidney and adrenal glands. It would lower the cholesterol level. the ruby would help with wound healing. Because of its intense red color, the ruby is a symbol of love. It is therefore considered as an aphrodisiac. If it is worn during the sexual act, it would increase passion, performances and the chances to have a baby.